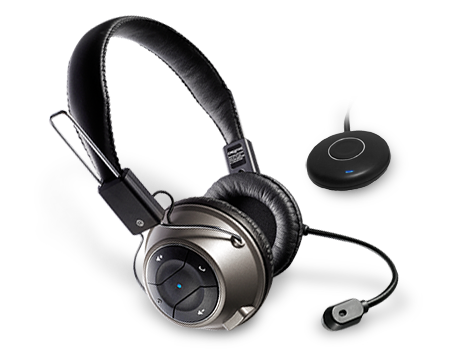 Give your play a new edge with Creative’s Digital Wireless Gaming Headset HS-1200. The transmitter/receiver module, which connects via USB, features the latest wireless technology, ensuring top-quality audio as well as maximum freedom and comfort during intensive gaming sessions! Built-in X-Fi technologies deliver crystal-clear audio and positional 3D effects via the powerful Neodymium drivers, while the low-latency design and high-end noise-cancelling microphone get you straight to the heart of the action. This is the headset to choose when you want to control every situation with your team members ‘as it happens’!